You don't have to wait long to get a sneak peak of the highly anticipated Diary of a Wimpy Kid: The Long Haul by Jeff Kinney. Here's an 12-page look that you wouldn't wanna miss. This will will be the ninth installment of the widely praised series, which were adapted to movies. Read a sneak peek of the highly anticipated Diary of a Wimpy Kid: The Long Haul by Jeff Kinney. A family road trip is supposed to be a lot of fun... unless, of course, you’re the Heffleys. The journey starts off full of promise, then quickly takes several wrong turns. Gas station bathrooms, crazed seagulls, a fender bender, and a runaway pig—not exactly Greg Heffley’s idea of a good time. But even the worst road trip can turn into an adventure—and this is one the Heffleys won’t soon forget. 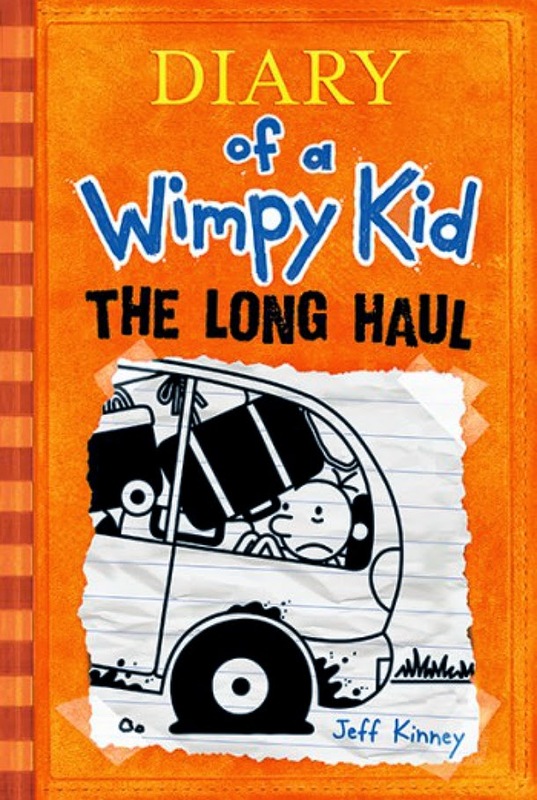 Diary of a Wimpy Kid: The Long Haul by Jeff Kinney will be available on November 4, 2014.